Bronson Park sits across from Kalamazoo’s City Hall. Tuesday night it was full of people, music and tents. But by Wednesday morning, it had police officers standing behind yellow caution tape that surrounds the park. Police arrested fourteen people around 7 a.m. on Wednesday morning, just twelve hours after the time city officials told the protesters they could be arrested for staying in the park. One of the people arrested is Kalamazoo City Commissioner Shannon Sykes. Commissioner Sykes, who has been supporting the Encampment protest members, says everyone who was arrested who didn’t already have a warrant was released Wednesday morning. “We’re going to connect with everybody who was not incarcerated today, we’re going to regroup, we’re going to talk again and the fight continues,” Sykes said. Each protester who was arrested is charged with obstructing a police line except commissioner Sykes, who is charged with attempting to resist arrest. Sykes says she will continue to protest alongside the homeless residents. “Until folks, regardless of whether they have a home to go to, still are afforded the same rights, the same human rights, as the rest of us,” she said. Their demands include finding better shelter before winter and access to physical and mental healthcare for the homeless. 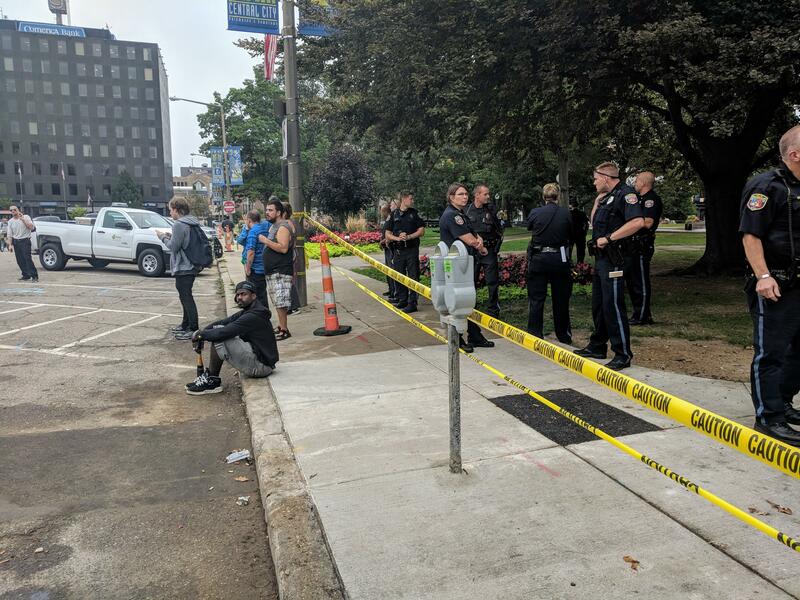 The City of Kalamazoo released a statement saying the protesters violated a city ordinance by sleeping in the park overnight. The statement also details efforts the city has made to address the needs the group brought forward. 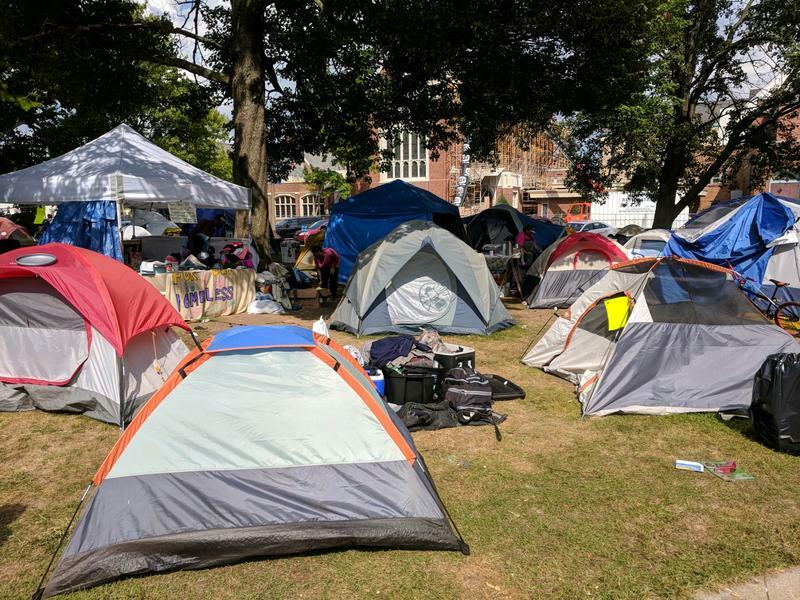 One such example is finding multiple places other than Bronson Park for a homeless community to exist, but the protesters claim that this was done to keep homeless people further away from City Hall. Other than the officers standing in the park, there are cleaning crews spraying down the sidewalks and blowing leaves and trash away from walkways. Kalamazoo police officers arrived at Bronson Park this morning to clear the park of homeless people and protestors. 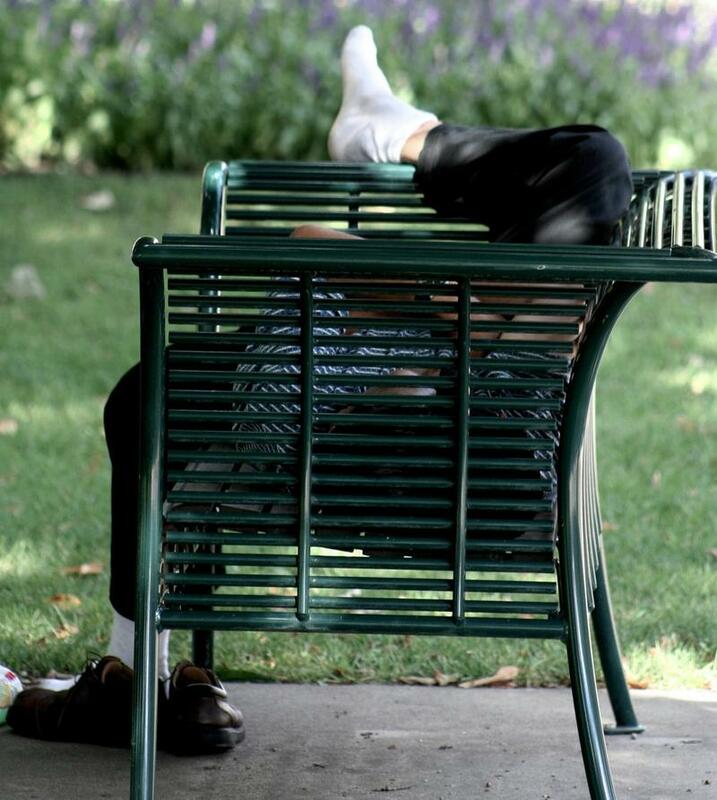 The city imposed a deadline of 7 p.m. Tuesday night for homeless campers to leave the park. Some people have been arrested, including city commissioner Shannon Sykes. The city of Kalamazoo has struck a deal with a group of homeless protesters who were refusing to leave a downtown park.